Scientists have carried out the first study of human cognition using a new generation of brain scanner that can be worn like a helmet. This marks an important step forward in the translation of their new technique from the laboratory bench to a genuinely useful tool for cognitive neuroscience and clinical application. 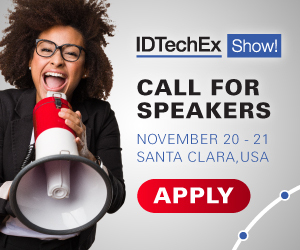 For more information see the IDTechEx report on Wearable Technology. The study, published in Neuroimage has been undertaken by researchers at the Sir Peter Mansfield Imaging Centre, University of Nottingham and the Wellcome Centre for Human Neuroimaging, UCL. It is part of a five-year Wellcome funded project which has the potential to revolutionise the world of human brain imaging. Using the new wearable magnetoencephalography (MEG) system the research team were able to map the parts of the brain responsible for language. Brain cells operate and communicate by producing electrical currents. These currents generate tiny magnetic fields that are detected outside the head. Researchers use MEG to map brain function by measuring these magnetic fields. This allows for a millisecond-by-millisecond picture of which parts of the brain are engaged when we undertake different tasks, such as speaking or moving. Here, subjects wearing the MEG scanner were shown nouns on a on a screen and told to think of related words without speaking e.g. if presented with the word 'cake' subjects may think of words such as 'bake' or 'eat'. They were instructed to continue doing this until the word disappeared from the screen after a 3 second period. Each verb generation period was followed by a baseline period of approximately 2 s where the subject was asked to do nothing. Images captured exactly how the language network was engaged when subjects undertake the task. Dr Matt Brookes, who leads MEG work in the School of Physics and Astronomy at the University of Nottingham, said: "This is the first study of human cognition using this new scanner and it highlights this technology's potential as a tool for cognitive neuroscience. The study also shows the potential of our system to improve the accuracy of surgical planning, via mapping eloquent cortex. If we can map, for example, the language network, then that will provide useful information for surgeons who may planning resections in, for example, epilepsy. We hope the methods will be particularly beneficial for young children, who are often difficult to scan accurately using the fixed scanners which rely on the patient saying very still for long periods of time. This therefore represents an exciting step forward as it demonstrates the utility of a new generation of wearable MEG sensors for both cognitive and clinical neuroscience." Conventional MEG scanners are large and weigh around half a ton. This is because the sensors used to measure the brain's magnetic field need to be kept very cold (-269°C) which requires bulky cooling technology. With current scanners, the patient must remain very still whilst being scanned, as even a 5-mm movement can make the images unusable. This means it is often difficult to scan people who find it hard to remain still such as young children, or patients with movement disorders. The new OPM- MEG system uses 'quantum' sensors that can be mounted in a 3D-printed prototype helmet. As the new sensors are very light in weight and can work at room temperature, they can be placed directly onto the scalp surface. Positioning the sensors much closer to the brain increases the amount of signal that they can pick up. Professor Gareth Barnes, from the UCL Wellcome Centre for Human Neuroimaging, said: "From a neuroscience perspective this work is very exciting as it allows us to study tasks that we could never have contemplated before with conventional scanners (where the head has to remain fixed). For example, people interacting naturally or people navigating through virtual worlds and laying down memories. Importantly, we can do this throughout the lifespan- allowing us to understand how key functions like memory or language develop and how they degrade in dementia. We soon expect delivery of even smaller sensors which we should be able to put within a bicycle helmet and we are building a new room where subjects are free to move around naturally. We will be able allow people to interact with one another or within virtual worlds where we can study how they make decisions and lay down memories. This will also mean we will be able to study natural human movement and how it is compromised in diseases like Parkinson's."